An official Spokesman of HIPA said here today that the departmental examination for all categories of Gazetted and non-Gazetted officers/officials including Indian Administrative Service, H.P. Administrative Service, Tehsildars/Naib Tehsildars, IFS/HPFS and all other Gazetted Officers and eligible Non- Gazetted Officers, Supdt Gr-II and Senior Assistant (Technical and Non-Technical), Excise and Taxation Inspectors of the Excise and Taxation Department, Engineering Officers Civil/Electrical and Mechanical of the H.P. State Electricity Board Ltd. who were serving under H.P. Government would be held from 4th to 12th April, 2013 by the Board of Departmental Examination, H.P. 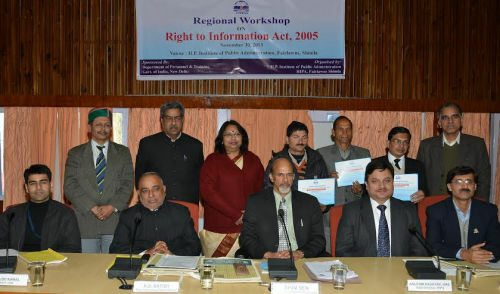 Institute of Public Administration, Fairlawns, Shimla-171012. 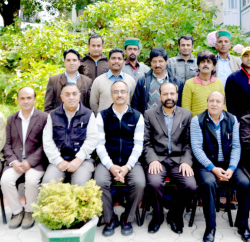 He further disclosed that the Board shall also conduct the examination at Dharamsala and Mandi for the convenience of candidates taking examination only in Paper No. 1 i.e. Financial Administration, besides H.P. Public Service Commission, Shimla. He said that those who intend to appear in the departmental examination should send their applications on the prescribed application form with attested passport size photographs through their respective Heads of Department to the Secretary, H.P. Board of Departmental Examination, Fairlawns, Shimla-171012 so as to reach in his office latest by 28th February, 2013. The Spokesman stated that advance copy of application form can be sent direct to Secretary, Board of Departmental Examination latest by 28th February, 2013. He said that in such cases, roll numbers shall be issued only after receipt of their application through proper channel not later than 10 days before the commencement of Examination. He said that application form could also be downloaded from the HIPA website.